Bro, do you even code? I work in C# on our web-based point-of-sale system EverywhereBridal. I also work on a large Visual FoxPro application, The ProfitSystem. 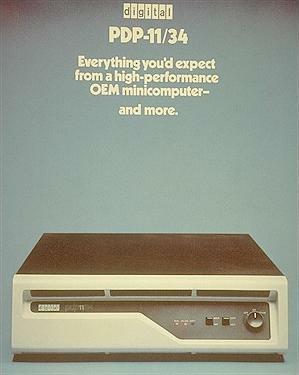 The first computer I really used was a PDP-11/34. I didn’t own the PDP-11/34, Butler University did. Since my father was a professor we had a VT-52 compatible dumb terminal and acoustic coupler. With them I could connect to the PDP and play games, like Star Trek, and more importantly, write programs. It was my first exposure to BASIC. My first personal computer was a Commodore 64 where I learned 6510 assembly language with Commodore 64: Programmers Reference Guide and books by Jim Butterfield. From there it was on to the PC and MS-DOS, where I wrote Pascal code using the UCSD p-System. I also worked with Turbo Pascal. When we started our first company, we used Clipper and FoxPro to develop business applications.